Worn, chipped teeth or teeth that have otherwise been damaged can harm your appearance and be detrimental to your self-confidence. One of the best ways to improve your smile in such a situation can be to have dental crowns placed. Not only do they restore your smile, they can also provide stability and strength because they protect the surface of your teeth from incurring any additional damage. Dental crowns are one of the best restorative treatments available, and because they are made of porcelain (which is the substance that is closest in appearance to your natural teeth), anyone meeting you for the first time would have no idea that you had work done. 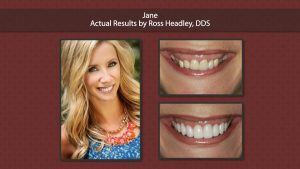 Getting dental crowns is easy and painless. 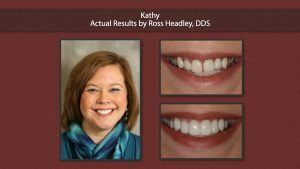 First, Dr. Headley will administer a local anesthetic to numb your mouth so that you won’t feel any discomfort. Then he will scrape away the decayed areas, and create impressions of your teeth so that your crowns can be made to fit perfectly. The impressions will be sent to a lab, where a master ceramicist will create crowns that will perfectly match your existing teeth. 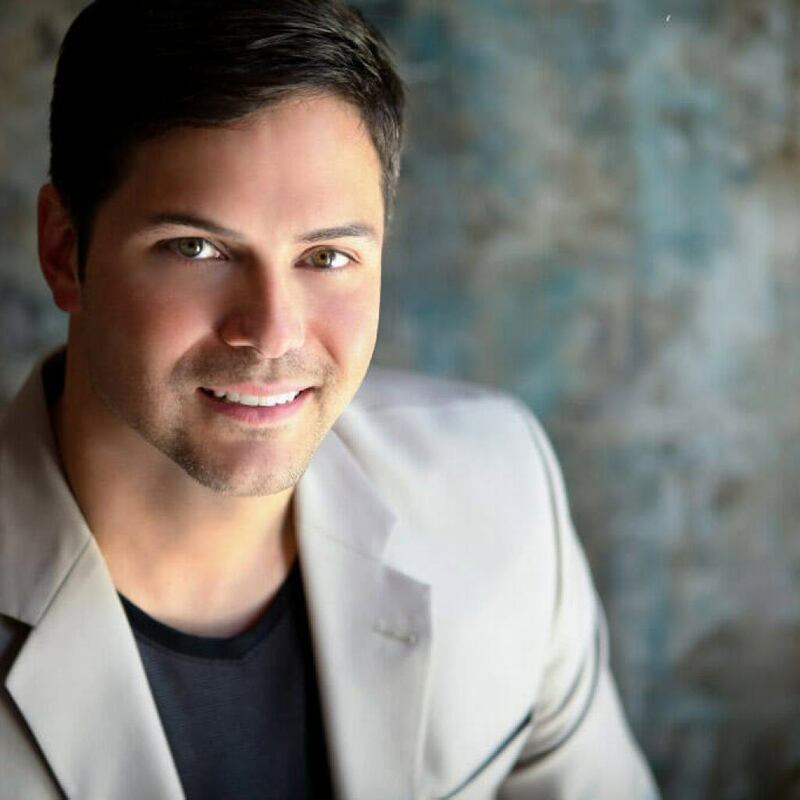 You won’t have to worry about your smile or the functionality of your teeth while you are waiting for the crowns to be made, because Dr. Headley will fit you with temporary crowns. Once your crowns come back from the lab, you will come back to see us so that Dr. Headley can bond your new crowns permanently in place. Dental crowns are incredibly durable – in fact, if you take care of them, they could last you fifteen years or more. They do not need any care beyond what you ordinarily do. Simply brush and floss as you would normally, and see us for regular cleanings and checkups. Your crowns are, of course, immune to decay, but you still have to look after the underlying structure. Crowns will look just like your real teeth. They look just as lustrous and translucent, and they can even be colored so that they’ll match your existing teeth. 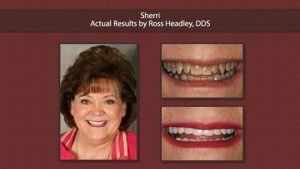 Additionally, if you are considering crowns as a means toward a complete smile makeover, they can be tinted to be whiter and more brilliant. Crowns won’t stain, either. 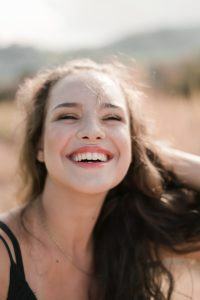 If you have been considering whitening treatments along with crowns, make sure that you have the whitening done first, because the caveat to the fact that crowns will resist staining is that they cannot be whitened. Dental crowns will never slip, and they’ll never slide. That is because they are bonded permanently to your natural teeth. 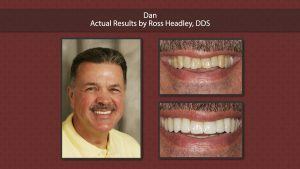 So if you are considering dentures or bridgework as a means of restoring your smile, consider crowns. Because they feel totally natural in your mouth, you will never have to worry about lisping or slurring your speech. And of course, you will never need to take them out, which means that you will never have to worry about dropping them or losing them! You can see that there are many benefits to dental crowns. The biggest advantage, however, is in terms of your self-esteem. If you have damaged teeth, you may have found yourself reluctant to smile, and you may have been trying not to move your mouth when you speak out of concern that people will see your damaged teeth. That reduces your quality of life – no one wants to have to think before they smile or speak. If your smile is less than satisfactory, contact Dr. Headley in Overland Park at 913-491-6874 to talk about the benefits of dental crowns. You can also request an appointment by using the form on our Contact Us page. Be sure to check out our Facebook Page to stay up to date with KC Smile.